Modern science and technology inventions not only a big blessing to whole mankind but they are also a big reason behind to create more genius person in the world as one unique idea may be a step for further more creative inventions! The growth of scientific approaches and everyday new creative thoughts are also making the DIYers insanely clever and hence the DIY department is also having unique achievements everyday! 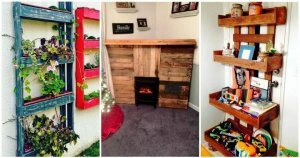 We would like here to peak into the DIY pallet projects only and have brought these 300+ pallet ideas, all from genius people around the globe and would serve you throughout your life for sure! Grab the legendary suggestions here to yield pallets as functional furniture output, learn the basic techniques here to remodel, modify, alter and restructure the pallets for phenomenal wooden furnishings and also for other functional objects you are to use to operate better your living environments, here we have shared all the most intelligent, genius and extra smart way to recycle, up-cycle or re-purpose the pallets and it is guaranteed that you will yourself a creative person at the end! Turn the pallets into pieces through a dismantling procedure and achieve your goals with those separated, individual and simple straight wooden slats! First build the vegetable and fruit organizer for your kitchen having multiple inside fixed trays which can even slide in or out when operating it! 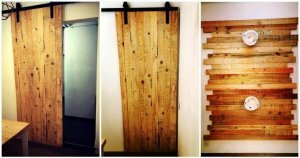 Pack torn apart straight pallet boards in custom ways to install better foot-boards and patterned headboards! 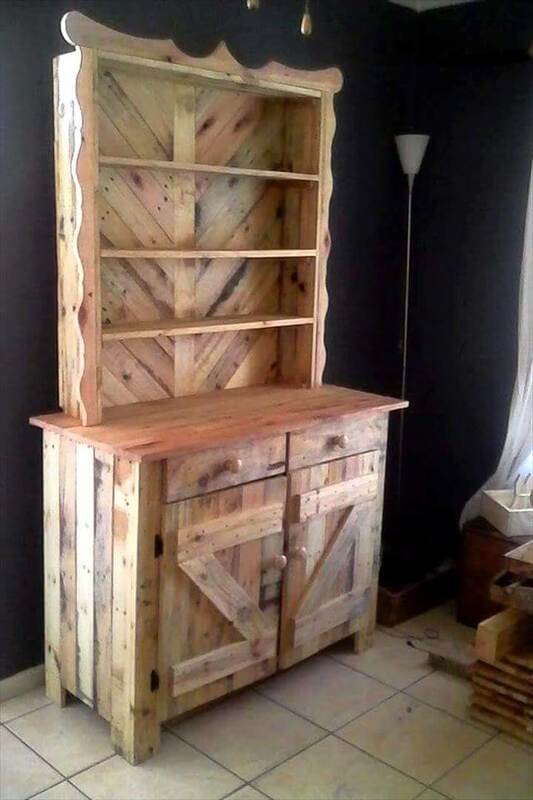 Integrate pallets to build an outdoor bench and make the design rare by giving an arched backrest, also build the art style kitchen hutch given below that comes with an artistic decorative edging along with robust shelving and storage sections! 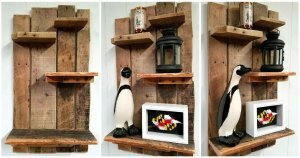 Modify whole pallet boards to gain splendid camera display units for your photography or electronic shop and also install the multi-tiered pallet planters to add as bewitching beauty station to garden nooks and crannies! 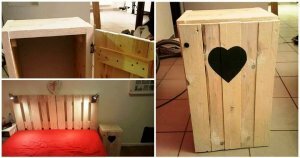 Combine pallets with old metal pipes for a lasting toddler bed output and also build the magnificent heart shape pallet mini table as a pure symbol of love! 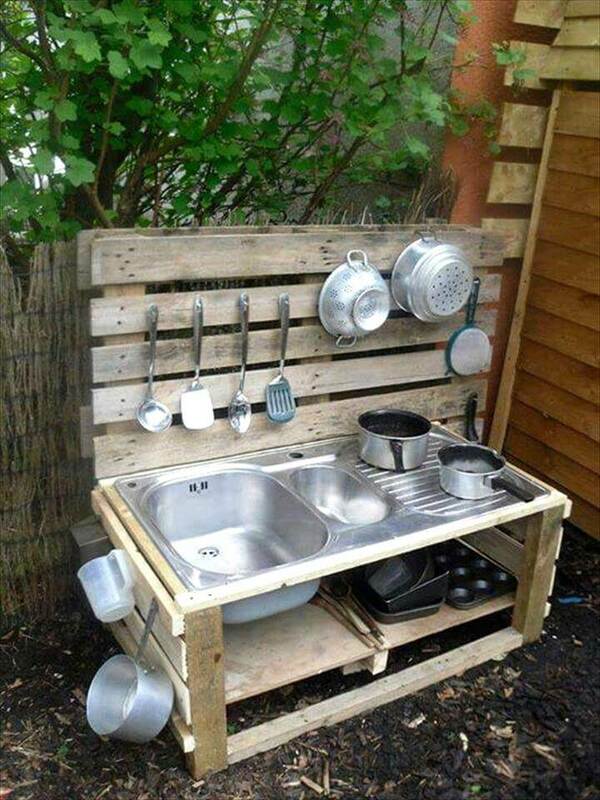 Don’t forget to build outdoor pallet kitchens for outdoor parties and also the garden wishing well to create a magical or mysterious character of your green space, kids will just love it! 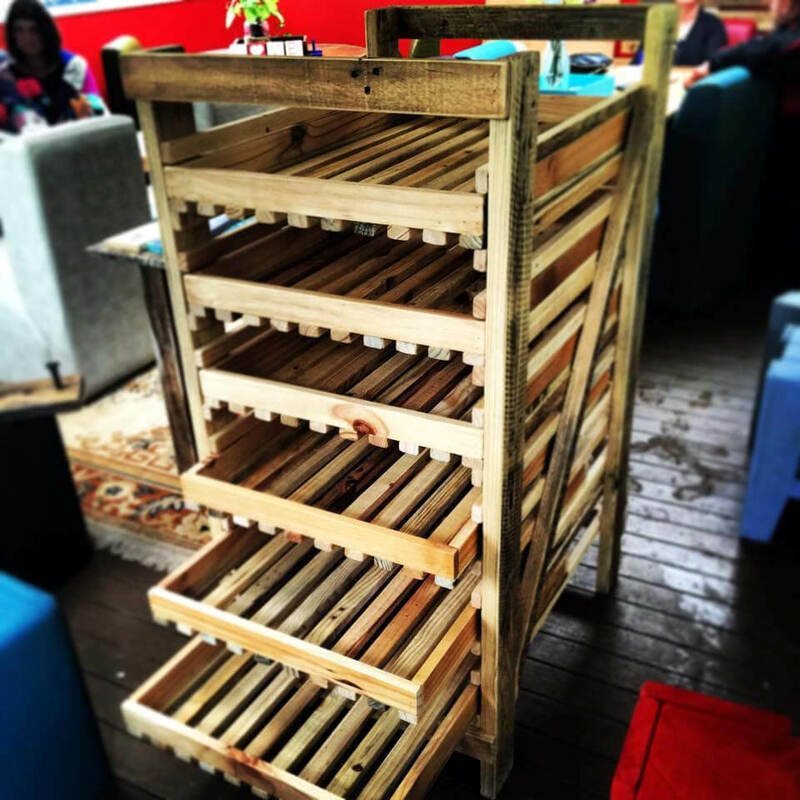 Checkout here the most creative arrangement of pallet lengths, a tall tower with inside fitted trays that are also capable to slide out at the time of need! Would be awesome to add to your kitchen as vegetable or fruit organizer! Get pallets also to build the bed components, like headboard, foot-board and even the nightstands! In the given sample, the pallets with different wood tones have been used for a magnificent wooden appearance and some chevron lines raise the visual to peak! 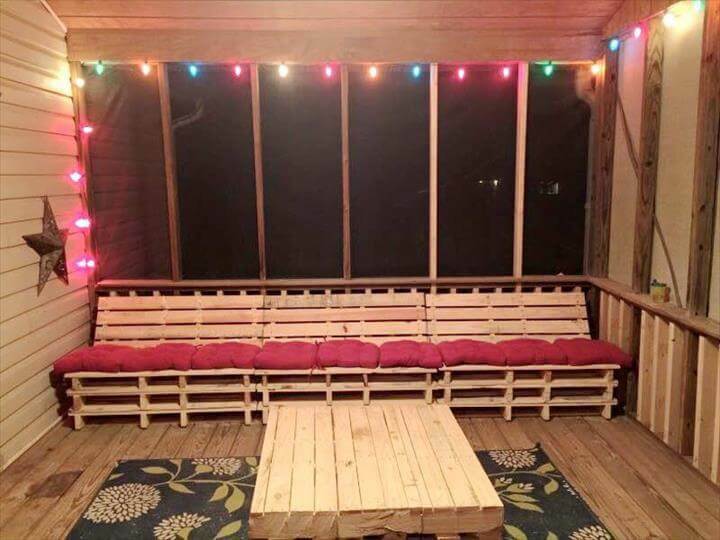 Pallets are too good for building custom seats, sofas, benches and chairs and hence can serve as free way to overcome the sitting space issues of your home! 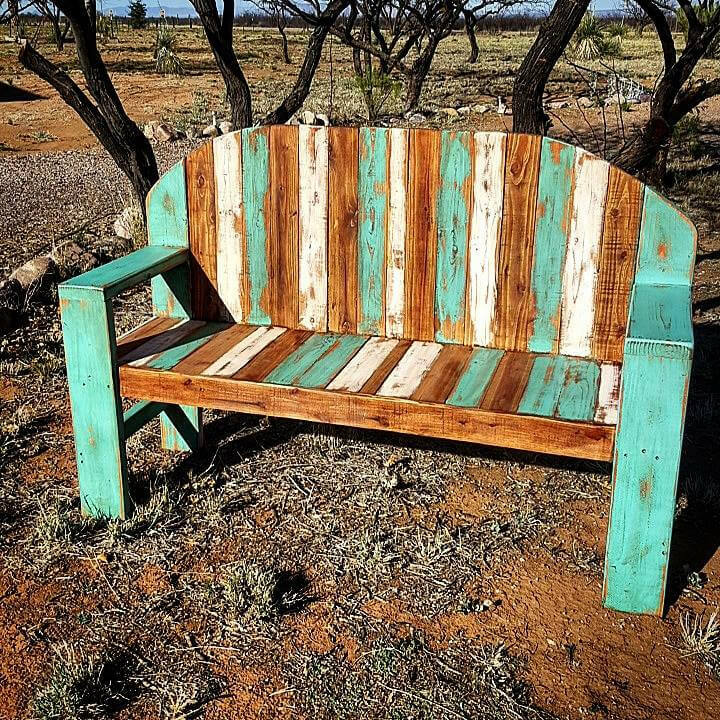 The given bench design with arched back, can make a permanent sitting point in your garden or at any outdoor, it is also a better pallet creation! Kitchen is always a space with lot of items inside so special storage units are a big demand of a kitchen interior, so why not get custom storage units for free through DIY? This given kitchen hutch is hand-built and has been raised in arty style appearance by going with decorative edging of it! 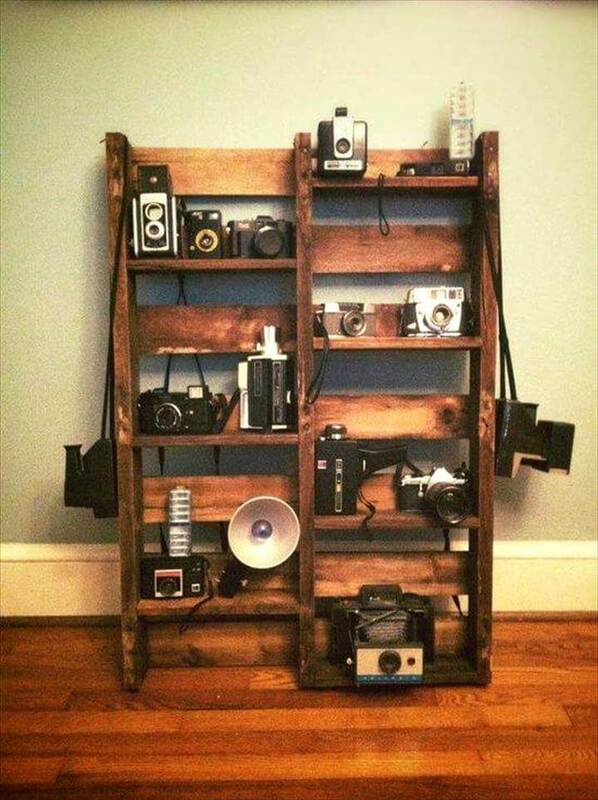 Pallets are serving the whole world and hence people of every profession, here is a camera rack for photographers, built by creating some shelving levels in a pallet board! 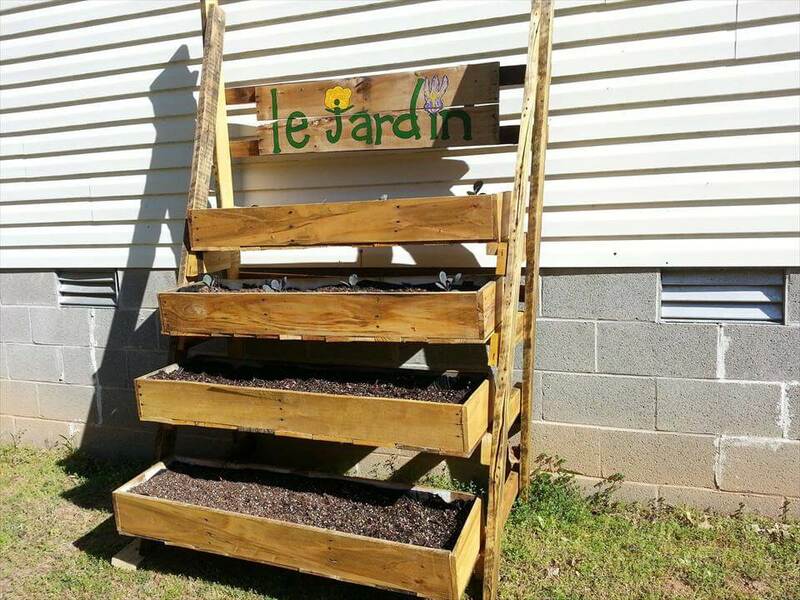 Get newer ways to grow you favorite plans and herbs and even the vegetables, build free wooden multi-tiered planters and start potting in them by giving a potting soil fill to them, pallets may be used as bigger source of free wood! 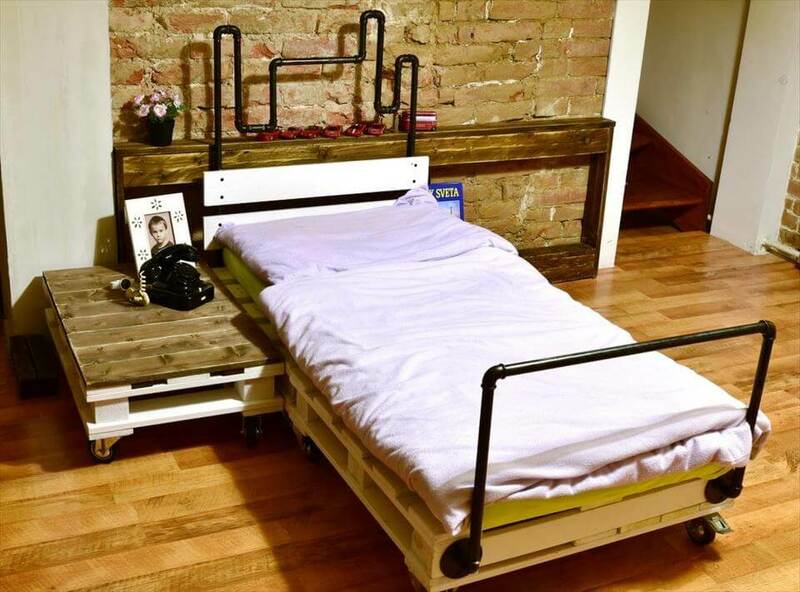 The material you waste on daily bases can be recycling in multiple ways, here old pallets and metal pipes are forming an incredible bed, well suiting to all toddlers, well assembled with hardware to live longer than usual! Need to cook at outdoor? Build instant kitchen with pallets with built-in storage and hanging options and also the dish washing setup! The construction can be as easy as you want for sure! 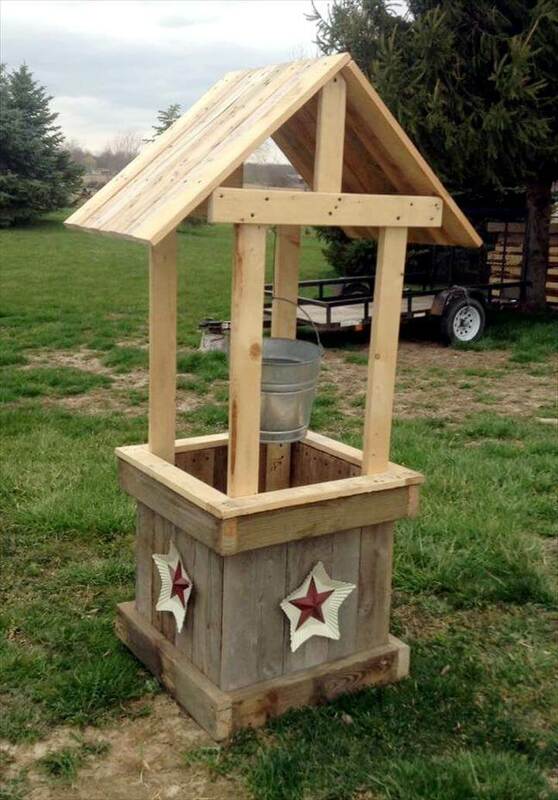 Wishing wells are one of the items the kids stories mostly revolve around, so why not install some custom wishing well to add to your garden for a mysterious look of your green space! 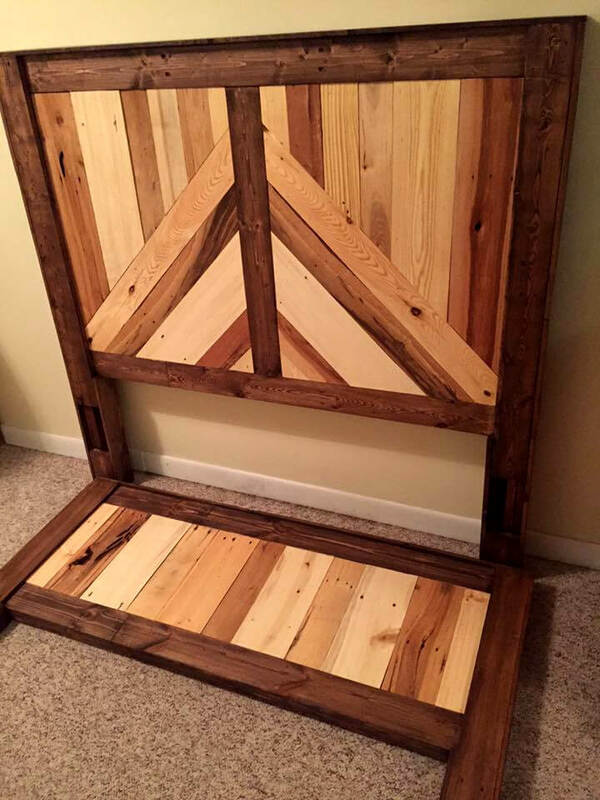 Use the free pallets to build it right now and the given sample would just be a great help! 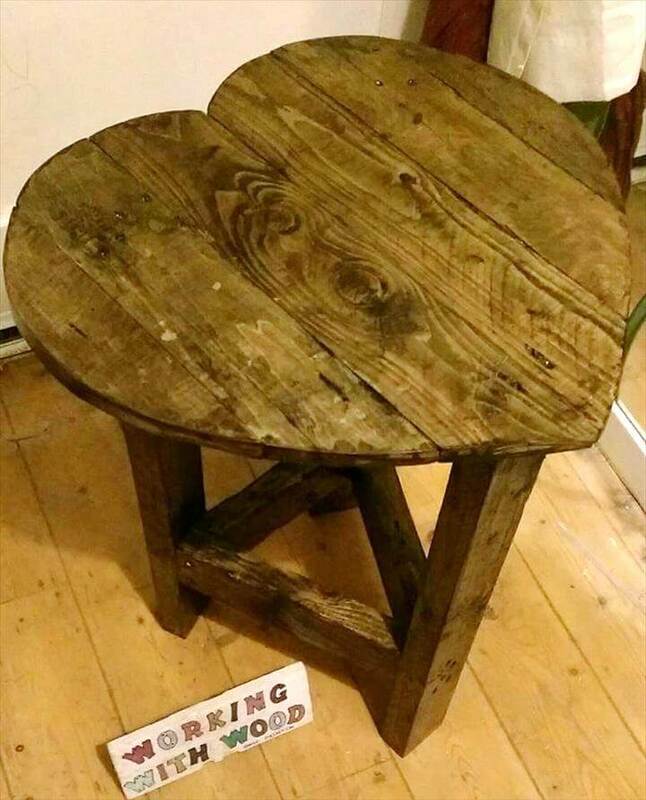 Building tables with pallets is favorite to all pallet lovers, but this heart top is sure to touch the hearts of all DIYers which are a great lover too! This would be a symbol of love if added to a living room as side table! Why not paint it in red for a more hot look! 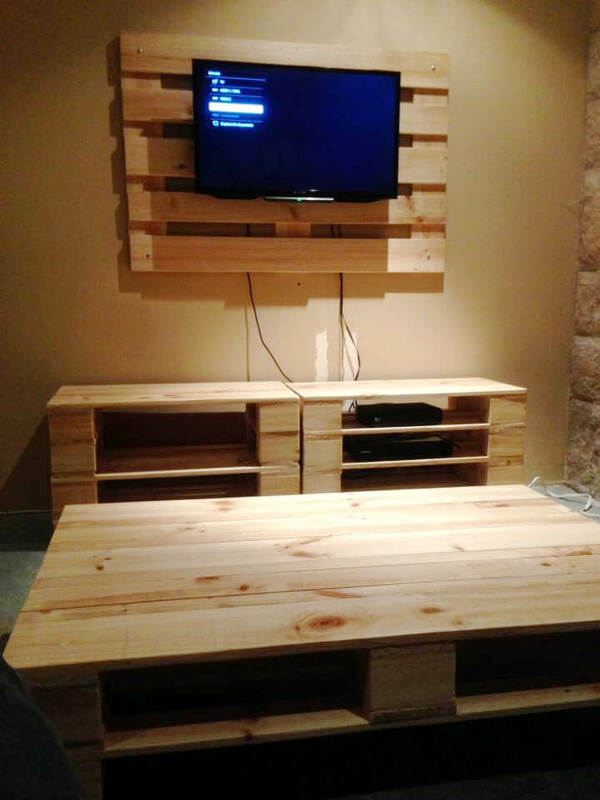 Really rummaging for living room table and entertainment furniture sets, time to save your bundles of costs, go with pallets and install custom modern coffee tables and entertainment centers with pallets like the given wall hanging media stand and lower media cabinet! 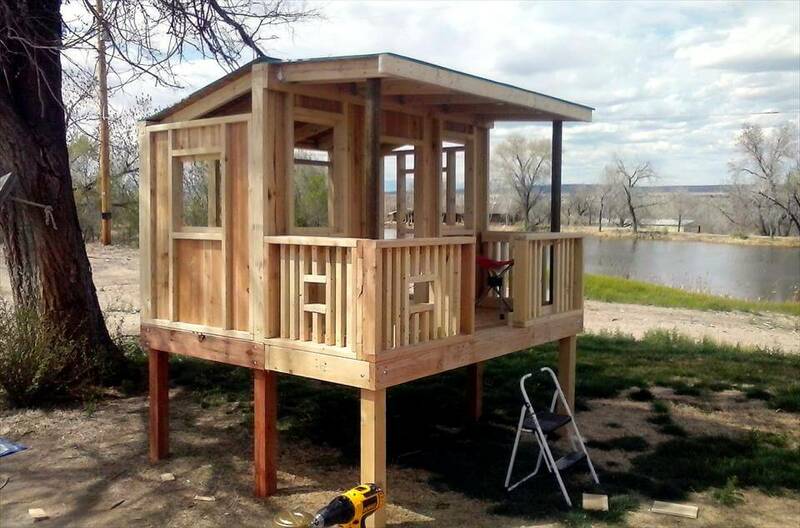 Tryout also this incredible elevated and well engineered pallet wooden residence built for kids fun and playing, would also be an ever fascinating place to enjoy a lake view in summers, the well-planned and built roof will provide protection against killing hot sun! Some old types of home wood like barn and lumber has also been used along with pallets! Let the pallets give a big boost to your entertainments, install this superb party lounge with pallets to have great fun with your family and friends! Construction is all about genius re-composition of dismantled pallet boards!